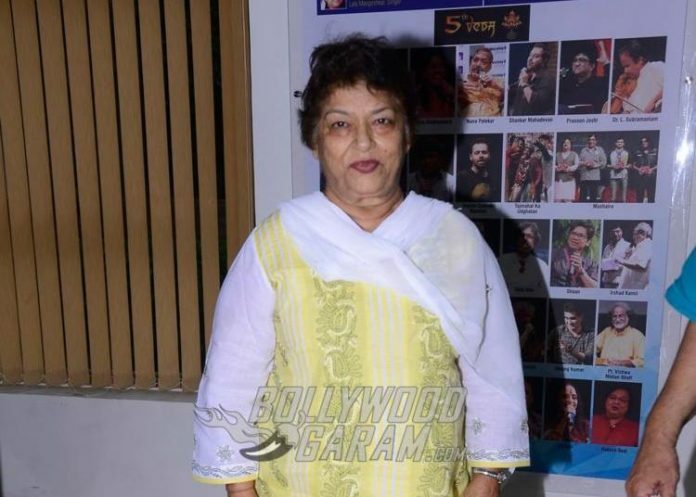 Bollywood’s veteran choreographer Saroj Khan has been laying low in recent times but is soon expected to return with a bang. The veteran choreographer has been given the responsibility of a mujra featuring Madhuri Dixit in the climax of Abhishek Verman’s Kalank. Saroj in an interview with a leading daily revealed that she had lost a chance of collaborating with Katrina Kaif for a song in Thugs of Hindostan as the makers had brought in Prabhu Deva in the last minute. Khan said, “I can’t judge actresses because I have only seen them in songs choreographed by others. Katrina looks good and there was a chance of collaborating on Thugs of Hindostan”. The choreographer went on to reveal that while the shoot was coming up Katrina had said that she would not do the song without rehearsals and that she was summarily replaced with Prabhu Deva. At the same time the veteran choreographer did not have any hard feelings on that and added that such things happen and that she has never gone to anyone’s office asking for work. Saroj added that she only hopes that her work speaks for her and she misses being on the sets. Talking about Saroj Khan and Madhuri Dixit, they have earlier collaborated for some of the iconic numbers like Ek Do Teen from Tezaab, Tamma Tamma Loge from Thanedar and Dhak Dhak from Beta.